Greetings, growers! My name is Emily Rose Haga, and I manage the tomato and pepper breeding programs here at Johnny's, along with my breeding team. In both programs, we are focused on creating special, new varieties for market growers that combine heirloom flavor and quality with specific traits that improve adaptation to variable growing conditions. It can be challenging to grow these warm-season, heat-loving crops organically, and in short-season growing conditions like ours in Central Maine, but by breeding varieties directly under such conditions for traits like earliness and disease resistance, we can help direct evolution towards development of crop varieties that are more resilient under these conditions. This is the most exciting time of year for my team (and most of us on the research farm), because much of what we do the remainder of the year revolves around the crops and analysis that are now coming to fruition. The tomato and pepper programs really come to life after the plants are in the ground. Early in the growing season, we are in the field, placing pollination barriers over plants to prevent undesired cross-pollination; rogueing off-types from our seed-increases; and sampling leaf tissue to help us identify disease-resistant plants. Later in the season, once the crops mature (August–September), is prime time for evaluations. You will find us rating the crops and taking notes, harvesting fruit for yield, flavor or other sensory qualities, and flagging individual plants for possible seed harvesting. The plants in our breeding nurseries — where we make our selections — are doing generally well this year, but showing signs of water stress in this abnormally dry growing season. As a breeder, the silver lining for me is that I can select plants with better tolerance to stress and drought (to an extent). Ultimately, I may one day be able to help farmers better adjust to these extreme weather patterns. Late summer is also when the trials we've placed with university and farmer-cooperators across the country begin to mature. 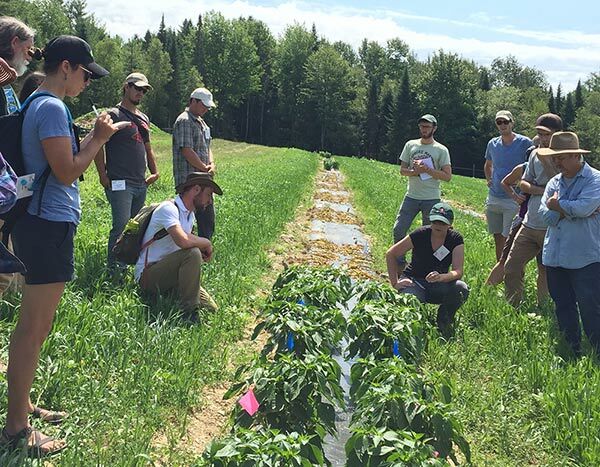 These are on-farm trials of our new, experimental varieties, designed to determine how they perform in different regions and collect valuable, real-world feedback from growers to inform our breeding and commercialization decisions. This year I'm visiting some of our trials in Maine, Connecticut, New York, Wisconsin, Oregon, and California — and enjoy seeing how things look! In the off-season, we stay busy analyzing information from prior seasons, coordinating the logistics of our new product introductions, and preparing for the next growing season. A significant part of what we do to prepare involves operating a year-round breeding greenhouse to create seed for testing. My team carries out thousands of hand pollinations in the spring and winter months to make new test crosses, develop breeding populations, and increase trial seed for the following season. Having the ability to do this counter-seasonally in Maine is a big asset for our program, because it affords us an extra crossing cycle per year and speeds up the breeding process, which on average takes 8 to 10 years from start to finish. Bearing in mind that classical plant breeding is a slow-going, long-term process of directed evolution, Rob Johnston and Janika Eckert deserve continued our recognition for their mark on these programs, which will continue to show up for many years to come. It's an honor to have inherited their breeding programs, and I'm excited to continue their fine work, as well as embark on my own creative projects — which are now beginning to take root! I look forward to sharing our work with you as we continue to introduce outstanding varieties to our offerings. 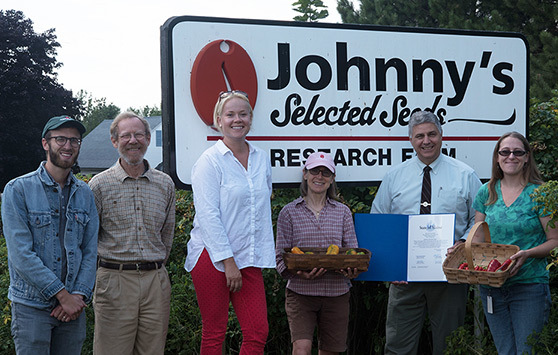 Senator Scott Cyrway, representing Maine Senate District 16, recently visited and presented Johnny’s Selected Seeds with a certificate of congratulations from the people of Maine. 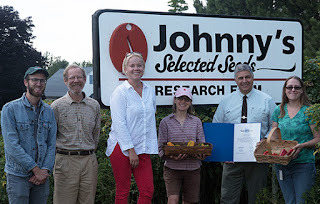 "Be it known to all we, the members of the Senate and House of Representatives, join in recognizing Johnny’s Selected Seeds of Winslow, whose 'Cornito Giallo' F1 and 'Escamillo' F1 peppers were selected as 2016 AAS Vegetable Award Winners by All-America Selections. 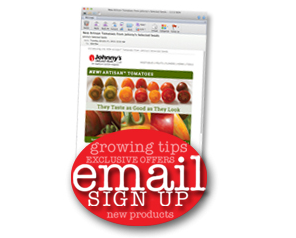 All-America Selections is an independent, nonprofit organization that tests new varieties of flowers and vegetables and names only the best garden performers as AAS Winners. 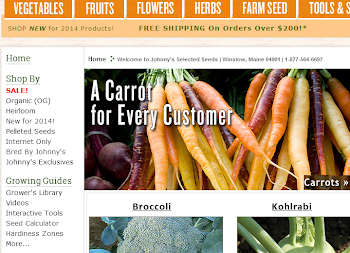 We extend to everyone at Johnny’s Selected Seeds our congratulations and best wishes. And be it ordered that this official expression of sentiment be sent forthwith on behalf of the 127th Legislature and the people of the State of Maine." That's very good for our planet. i always appreciate people for making this world save and peaceful. greenery our main weapon against global worming. It is not easy to grow these vegetables. I see that your aim is to share the recommendations and advices. Best wishes! Thank you for ur post. It was useful and interesting for me. Oh, I love growing tomatoes and peppers. Thanks for the fascinating article! Like specialist languages adopted in other professions, such as, law or medicine, academic writing is designed to convey agreed meaning about complex ideas or concepts for a group of scholarly experts. click is all about academic writing. When you search for HostGator Hosting Coupon, you won't find any coupon that resembles the HostGator 75% Coupon Code and the reason for this is that it does not look the same coupons. Rat Control in Southall - Pest Control offer a comprehensive pest control service for mice, rats and squirrels. We treat the evaluation process serious and don’t publish fake reviews. In this academized reviews you can learn all information about the company which you won’t find elsewhere. I was looking for this info for so long. Thanks for sharing it. If you do not mind, I will add some of the general points that are described in your article to my essay. I do not want to buy Pre-written essays. I rather practice my academic writing skills. Your article express that how much knowledgeable you are and it helps lots of students. Awesome! I always use to read your blog. It is so much informative. Thanks! Welcome to our website! When i was studiyng at the university i could not imagine i was to do a good resume in order to recquire a well-paid job but thanks to your site and https://resumesleader.com i had the possibillity to do it in a short time and hired on a good work, so thanks a lot.